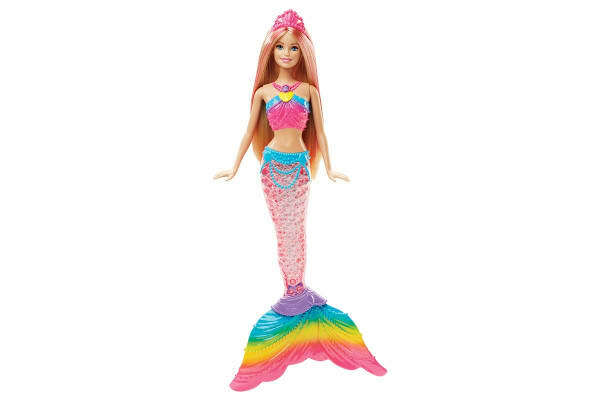 Dive into a world of colour with the Barbie Rainbow Lights Mermaid. Experience the magic and dip your Barbie Rainbow Lights Mermaid into a bath of water to watch the gorgeous tail light up with bright and beautiful colours. The magical tail resembles a glittering rainbow and illuminates once her hidden probes are activated by water. By pushing the button on the Barbie doll’s necklace, the light show can also continue outside of the water. 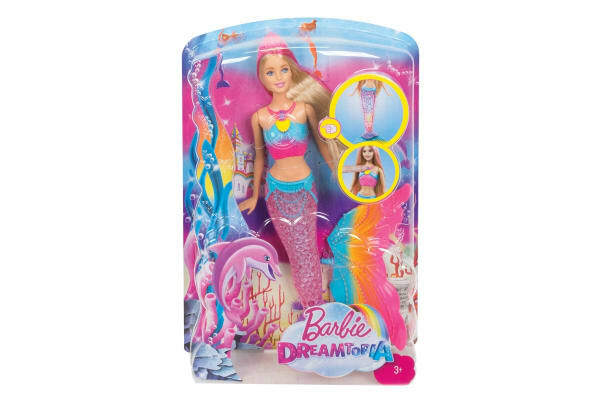 Embellished with pearls and vibrant colours, this Barbie Rainbow Lights Mermaid doll is perfect for fairytale inspired playtime. Doll cannot stand or swim alone. Colours and decorations may vary.